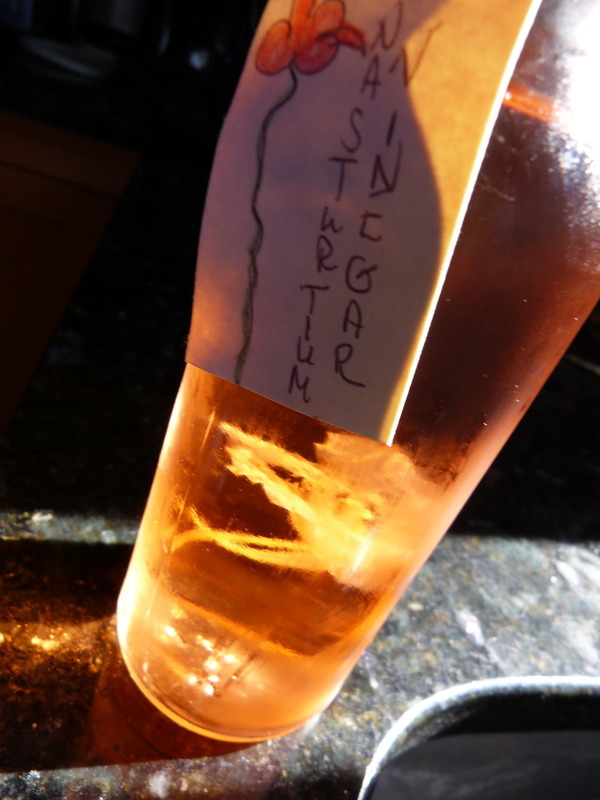 The vinegar picture attached is that of nasturtium infused vinegar (the blossom is visible). This is what went really well w/my $1 bean soup w/amaranth and wild spinach greens & seeds. http://foraging.posterous.com/whats-cooking has the recipe @ the bottom. 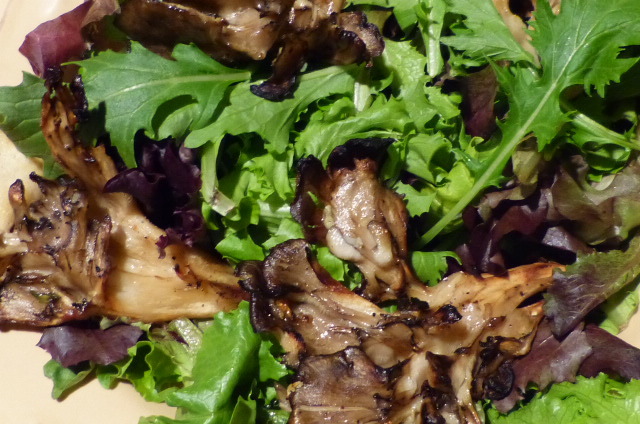 Boiled & Grilled Maitake Salad: A chef taught me how to make this vegan meal years ago. To make, get a fresh wild maitake, clean it, bring a pot of water to a boil along with some white/cider vinegar (enough to give the water a light to moderate vinegar taste). A sprig or two of fresh rosemary may be added (this was my idea and I find makes it even better than w/o it). When boiling, put maitake in water, cover and simmer for 10 minutes. Drain and dry a little, then toss with extra virgin olive oil, minced garlic, salt, a little fresh lemon juice (optional), and fresh herbs (I used thyme). Next, at med.-high heat, BBQ grill the maitake until browned on each side as well as well-browned (nearly burnt) at the extremities. Cut into large pieces and toss into a salad. The result? Quite good! The texture was amazing, as it was meaty mostly, yet flaky in the extremities. It can be quite fantastic to have two very different experiences from the same ingredient prepared this way. And it is very flavorful with any slight bitterness (I’ve found this in some maitakes) no longer tastable. I highly recommend this salad, and don’t skip the boiling step (I did once, and the results were considerably less enjoyable). 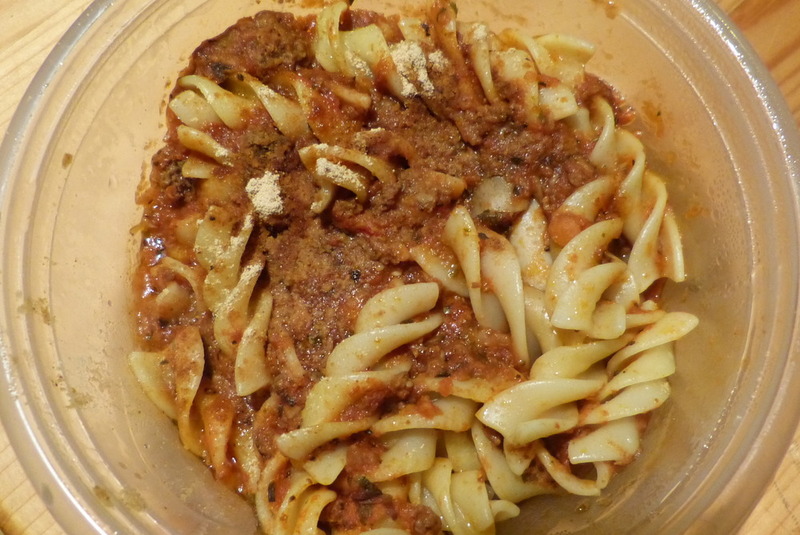 The pasta dish is a finely ground venison sauce, along with Berkeley’s Polypore powder. 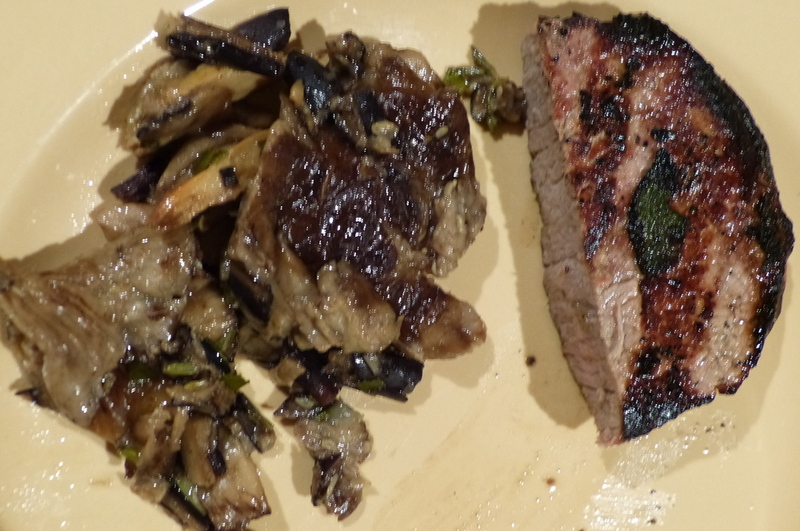 The last dish is steak with honeyed honey mushrooms. It involves rosemary, honey mushrooms, honey, and more. If you need the recipe, please let me know. 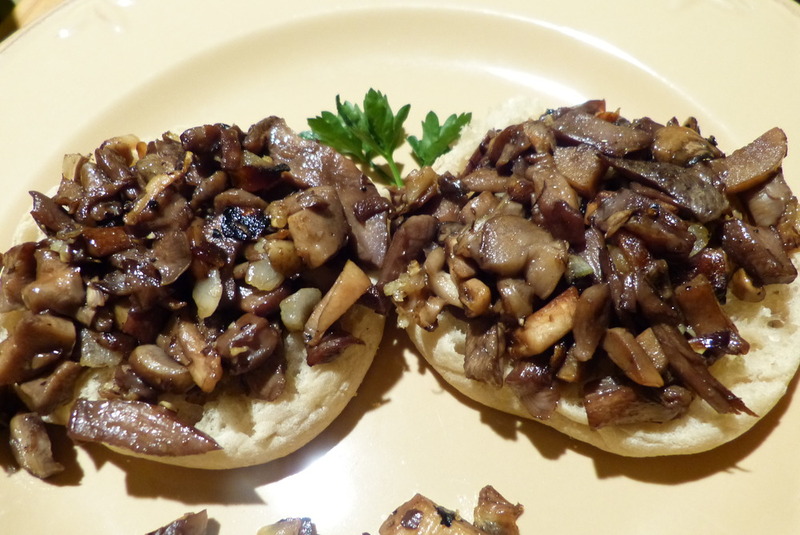 It was very flavorful, so much so that someone who doesn’t like mushrooms (texture reason, which this still had the same texture…) found this very good due to the intensity of good flavor. I also want to again apologize for not originally replying to comments on my website, as my email filtered them as spam.